Is it possible to put a whole group of people on mute for the rest of your life? Some may wish this for themselves, but it actually happened to one woman in China in a single night. Her story was definitely not something that one may wish for themselves though. 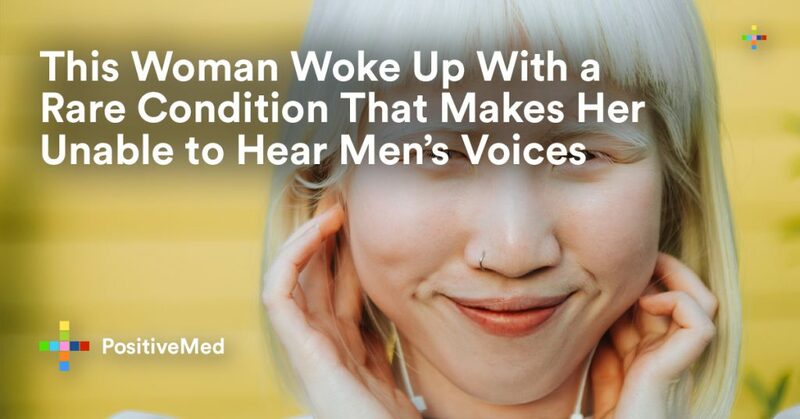 For her, the change was a result of a rare condition in which one cannot hear low-pitched sounds including most male’s voices. A woman that uses the last name of Chen woke up one morning unable to hear her boyfriend’s voice. Things were not too well the night before as she had an episode of nausea and vomiting. Besides this, there was a strange ringing in her ears. This made her rush to the hospital the next day. At Qianpu Hospital she was examined by Lin Xiaoqing. The ear specialists announced to her that she was suffering from low-frequency hearing damage that happens to very few people. She was told that she would no longer be able to hear any low-pitch sounds. This type of condition, known as RHSL, affects only 3,000 people in North America. People with this condition can still hear high pitched sounds like women’s and children’s voices. It was obvious to Dr. Xiaoqing that Chen was suffering from the condition when she could hear her female voice but could not hear the voice of a male patient in the same room. The condition is still a mystery to many doctors but some suspected culprits are genetic abnormalities and certain infections. A pressure change of the fluid inside the ear could also offset this condition. In Chen’s case, it is believed that stress and a lack of sleep caused the hearing loss. Many people with reverse-sloe hearing loss do not even realize they have the condition. Normal hearing loss is apparent to everyone with someone trying to turn up all volume to hear. RSHL is a condition that is not so apparent to people around as well as the one suffering from it. Patients with RHSL could be able to hear the TV set just well and unable to hear their car engine starting and running at the same time. They could go on living like this for many years before realizing this factor someone pointing it out to them. Most cases of RHSL run in the family. It is only through the diagnose of a family member that one may suspect that they have this condition. Luckily for Chen, her diagnosis is very optimistic about her condition. According to her doctor, the lowering of stress levels and adequate sleep should help her recover. She expected to make a full recovery of her hearing after the treatment.